PowerObjects announced today it has won the 2015 Microsoft Cloud CRM Partner of the Year award. The company was honored among a global field of top Microsoft partners for demonstrating excellence in innovation and implementation of customer solutions based on Microsoft technology. Awards were presented in several categories, with winners chosen from a set of more than 2,300 entrants from 108 different countries worldwide. PowerObjects was recognized for providing outstanding solutions and services in Cloud Customer Relationship Management. The Cloud Customer Relationship Management Partner of the Year award recognizes an exceptional partner who excels in providing their customers with solutions for sales automation, marketing automation, social engagement, and customer service. The award is presented to a partner who has shown both innovation and results related to selling and delivering Microsoft Dynamics CRM cloud offerings. 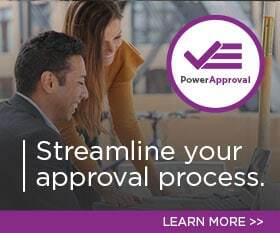 The team at PowerObjects has worked hard to become the recognized leader in delivering Microsoft Dynamics CRM solutions through unparalleled offerings of service, support, education, and add-ons. As winner of the Microsoft Dynamics CRM Worldwide Partner of the Year award for 2012 and 2013, PowerObjects has built an unmatched team of CRM professionals that help businesses and organizations of all types increase productivity, streamline business processes and build better relationships. PowerObjects is headquartered in Minneapolis, Minnesota, with offices in Chicago, Cincinnati, Dallas, New York, Omaha, Philadelphia, San Francisco, Seattle, and Toronto.